Gelato is the Italian word for ice cream so at some point, we can argue that these two are actually one and the same. However, if we dig deeper into the composition, texture, and preparation of gelato and ice cream, we discover and learn of their major differences. 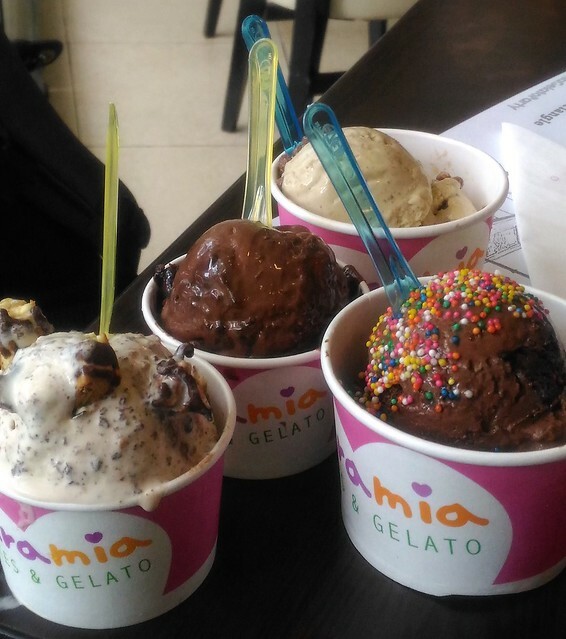 To put it simply, gelato uses less cream and more milk making it less fatty. Gelato is churned at a much slower speed putting in less air into the base. The result : a more dense and milky texture as compared to the crystalized, fat-heavy ice cream (don’t get us wrong though, we love ice cream!). So, what comes to mind when the word “Gelato” pops out? Caramia, right? Oh yes! 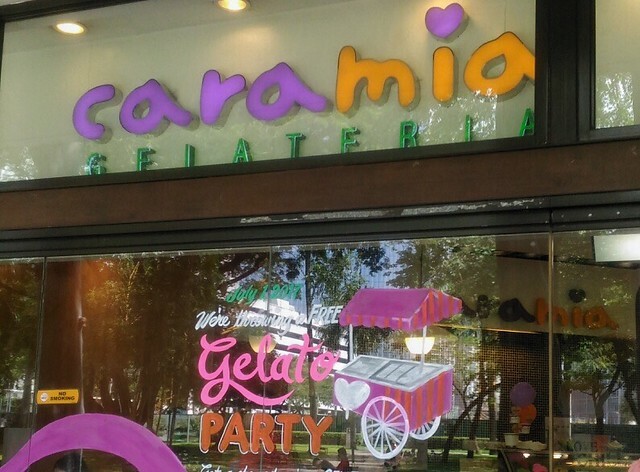 As one of the country’s pioneers in the gelato industry, Caramia held a press event last July 1, 2017 at their Branch in Ayala Triangle, Makati to introduce 2 of their latest flavors – the Matcha Gelato and Salted Caramel Gelato. Food bloggers, social media influencers, and foodies were invited to experience the newest additions to their amazing, time-tested, and refreshing line up. In today’s food scene, these two flavors (Matcha & Salted Caramel) are currently standing strong at the top of everyone’s list. 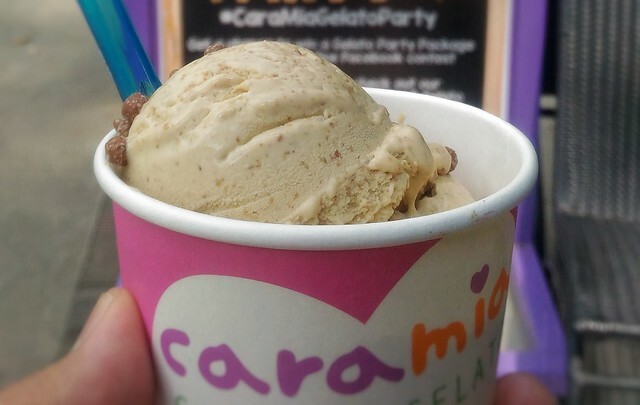 The Salted Caramel craze has reached the Philippines a few years back and knowing that Filipinos have a bit of a sweet tooth, this new flavor from Caramia would definitely be a hit… salty and sweet in one flavor that can never go wrong. Next is the Matcha flavor that Filipinos most often than not go gaga over. Matcha has currently taken over the food scene as most beverages, desserts, and not to be discounted, savory dishes, have either Matcha extracts or powder infused into them. And as Filipinos, we always love getting into the hype of things to belong and feel appreciated. Having said that, we believe that Matcha is here to stay especially now that more and more establishments are brewing up ways on how to incorporate this flavor into their dishes and beverages. 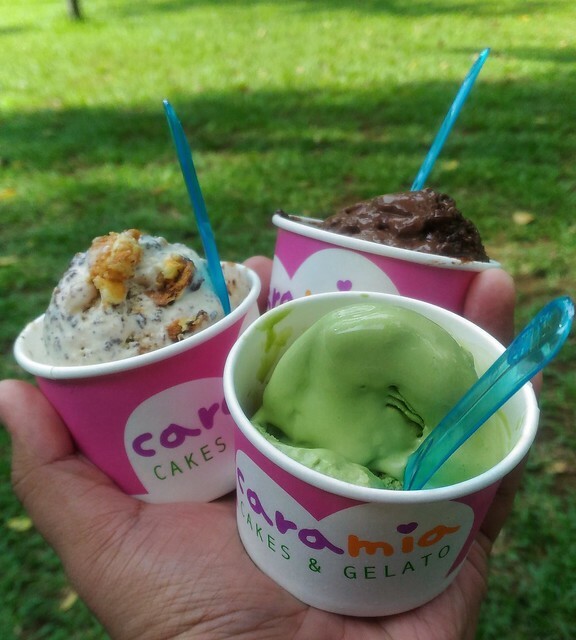 As for Caramia’s version of the Matcha Gelato, we can only say one thing… We.Love.It! That same day, Caramia launched one of their grandest contests ever! 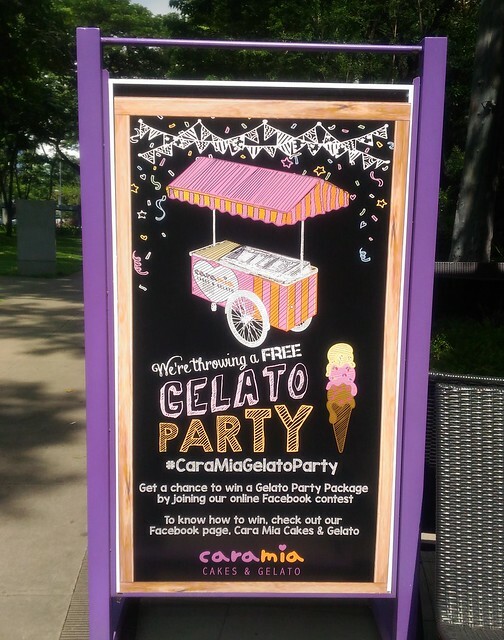 A free Caramia Gelato Party (250 FREE scoops of their awesome Gelato flavors) for upcoming birthdays, reunions, weddings, or any fun and exciting get-togethers with family and friends! How to join? Go visit and like Cara Mia Cakes & Gelato on Facebook and check their pinned post. Just spell out CARA MIA by using the first letter of friends’ names and TAGGING them at the same time. Don’t forget to include the hashtag #CaramiaGelatoParty on your comment to qualify! So what are you waiting for? Comment your family or friends’ names now to join!